Deontay Wilder has called for a rematch with Tyson Fury to be held “ASAP” and scorned a challenge by Anthony Joshua. The American heavyweight said he does not want to fight anyone else before returning to the ring to face the Gypsy King again. The pair’s WBC heavyweight title fight in Las Vegas on Saturday ended in a controversial draw, with Fury’s camp claiming he should have won despite Wilder flooring him twice. “I’m ready whenever he’s ready to do it. 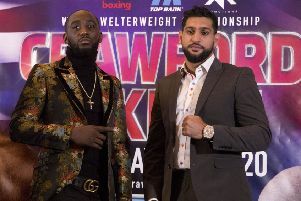 I’m ready to give the fans what they want to see and end this talk once and for all,” Wilder said in a conference call. Fury was denied one of the greatest comebacks in boxing history after harsh scores of 115-111, 112-114 and 113-113. He impressively outboxed the champion, although Wilder retained the title having knocked the Briton down in the ninth, and again in the 12th. Fury had appeared out cold, but he returned to his feet and recovered enough to survive to the final bell. There is speculation that the rematch could take place between March or June, although a late spring or early summer date is more likely to give the fighters time to recover. Frank Warren, Fury’s promoter, told the Press Association the fight has “a good chance of coming to London”. Wilder had suffered a broken right arm and underwent surgery around 12 weeks before his clash with Fury - a handicap he will be looking to lessen before their next meeting. The American will be fighting to retain the only world belt not held by Joshua, who holds three of four. Following the Wilder-Fury bout, Joshua’s promoter, Eddie Hearn, said Wilder has “always been the fight we want because he has the last belt”. But the draw on Saturday could mean Joshua being frozen out of the division’s top fights for a period and Wilder appeared keen to use that fact against the Briton. “We had to show the world what it looks like for the best to fight the best, and look at the outcome,” Wilder said.